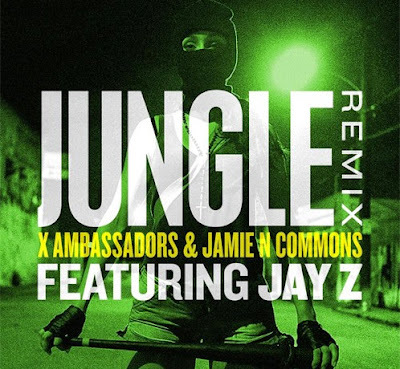 This week Dr. Dre sent out a pretty interesting tweet solidifying that we'd be getting a new rhyme or two from Jay Z. Hopping on the hot new single- Jungle by the X Ambassadors and Jamie N. Commons.. Jay gives us the steady bodacious flow we're used to from the vet. The single was used for the latest Beats By Dre commercial seen airing all over the coverage of the World Cup this year. Tonight, during Game 5 of this years rather interesting NBA Finals, the same commercial only extendid debuted with a remix of Jungle featuring Jay Z. Following the commercial airing the web got a hold of the full version of the record. It's nice to see two legends in the game- Dre & Jay still collaborating in some way. Check out the commercial if you missed it tonight.